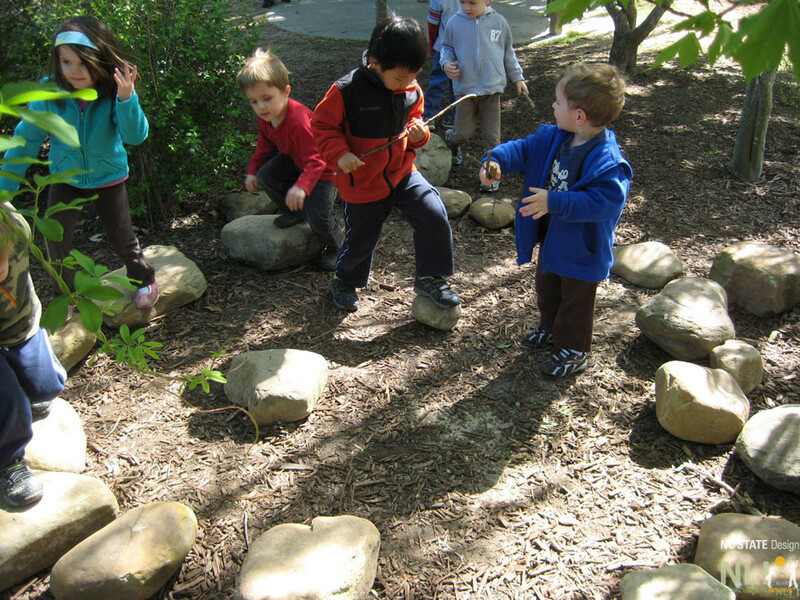 Stones and boulders are one of many easy and cost effective ways to improve an outdoor learning environment. Large stones = instant gathering place, council circle, or sitting nook. Smaller stones = a border for sand or earth play, or active science – turn over the rocks to see what lives underneath! Stones are valuable for their simplicity and variety of uses. 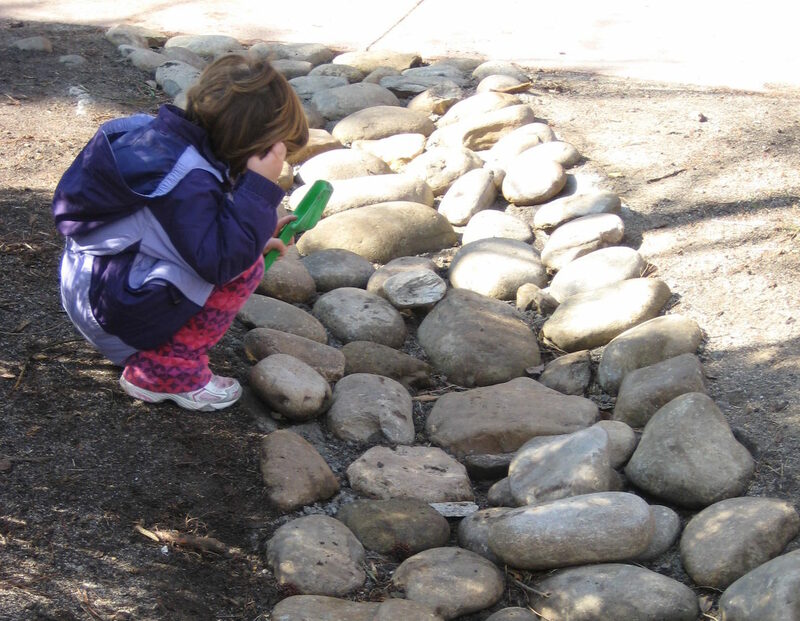 When a child sees a collection of stones, what could it become? Perhaps a “secret” spot to chat with a friend, a place for balancing games, things to turn over and discover what’s underneath, a playhouse foundation, a challenge to roll along the ground and rearrange, a work surface for sorting seeds and leaves, or simply a resting spot. If you live in a rocky region, smooth, rounded stones may be easy to find. If not, they may add some cost to your installation. Either way, they last forever, and have many uses, including seating, climbing, loose parts, and path edging. It’s best to make sure they don’t have sharp edges. For more information, see our information sheet specifically on stones and boulders, coming soon to the Green Desk. Here, the stone circle has become a balancing and pretend-play space at Bright Horizons at Harrison Park, Cary, NC. 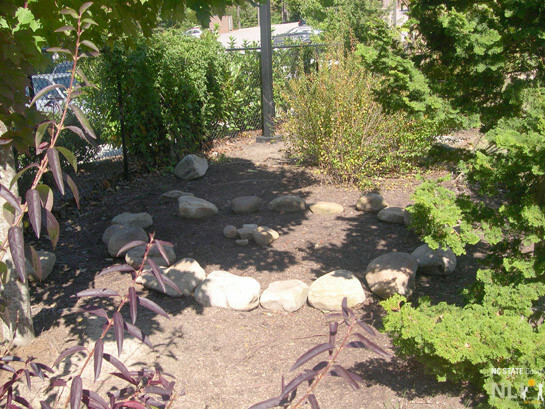 These stones in a circle make a great gathering location. 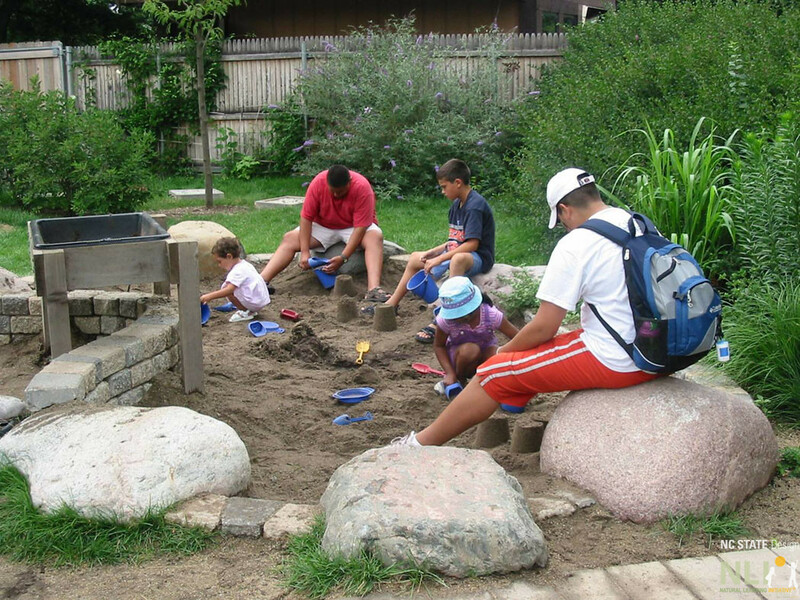 In this earth play setting, stones a create both a border and a nice sitting spot for adults and children at Brookfield Zoo.